Valentine’s Day is just over a week away; you didn’t forget, did you? Well, even if you did, you’ve still got time to pop out, buy a present and organise a candlelit dinner at your place (presuming you’ve got a date; you’ll need to get busy this weekend if you haven’t!). Before you go inviting your better half over for tea and romance, though, you should probably have a bit of a tidy up. 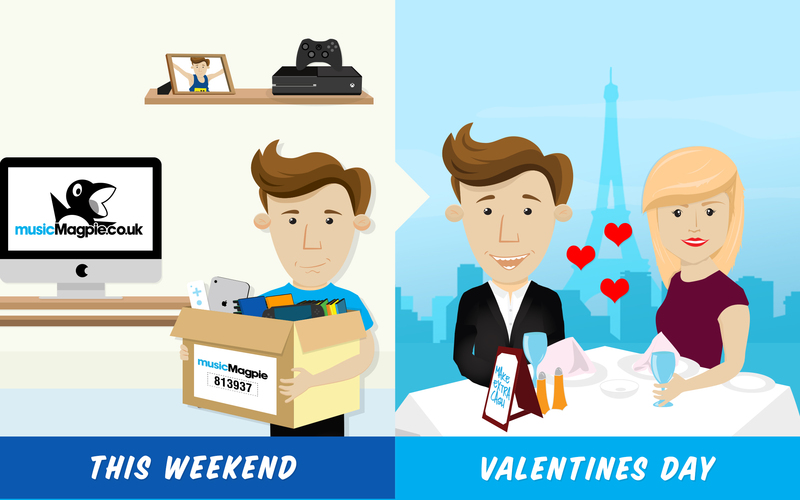 Here are a few reasons to have a pre-Valentine’s declutter. Romance can strike at any time, so you’ll want to make sure you have space for impromptu displays of love, whether that’s a nice cuddle on the sofa or…erm, something a bit more amorous. Either way, you don’t want loads of clutter cramping your style so make sure you get rid of it! Feng shui aims to allow energy to flow around your home in the most efficient way possible and – believe it or not – love is one such energy! Here’s a handy guide to feng-shui’ing your home for optimum love possibilities (spoiler: it doesn’t involve having loads of stuff in your house). Alternatively, check out our surprisingly easy guide to Feng Shui. We’re an open-minded bunch here at Magpie, but we’re fairly certain that most people find a messy home a turn-off; you never saw Romeo and Juliet or Ross and Rachel get it together on a bed of takeaway boxes and old DVDs, did you? Clean everything in house from top to bottom and watch your chances of romance go through the roof. A date is essentially a job interview, except instead of trying to land a new role you’re trying to land a new person to share your life with (hopefully). You want to advertise your best qualities, as you would in a job interview, and it turns out people quite like folks who are well-organised and tidy! So, you’ve decided that decluttering before Valentine’s Day is probably a good idea. How do you actually go about it? Well, we’ve posted a couple of guides in the past (all of which you can read by clicking here) but it boils down to this: clear up a little bit every day (20 mins or so would be fine), and divide your decluttering into a room-by-room operation. Have you got any decluttering tips to share with your fellow lovestruck readers? Let us know in the comments.